The searches in St. Maarten that started this morning Tuesday, December 13, 2016 and are being led by the Judge of Instruction are still ongoing. The home of the suspect F.C. (56) born in Italy is one of the premises that is being searched. The Anti-corruption Taskforce (TBO) of the Kingdom Detectives Cooperation Team has arrested F.C. at the request of Italian authorities. Italy will ask for his extradition. He will be prosecuted in Italy among other things for tax evasion and bribery of several politicians. F.C. is also suspected in Italy for using his businesses for money laundering. The arrests and searches are part of an international coordinated action in Italy, St. Maarten, Netherlands and the French Saint Martin. Several searches are also taking place on French Saint Martin led by an Investigative Judge. There the suspect R.B. (56) born in The Netherlands has been arrested. Furthermore searches have taken place in Italy and suspects have been arrested. Finally in Amsterdam an office building has been searched. These actions are the result of a partnership which started six months ago between the Prosecutor’s Offices of Italy, the Netherlands and St. Maarten. The Anti-corruption Unit of the Attorney General’s Office acted in line with this partnership regarding the arrests, searches, and seizure. This international cooperation between Italy, St. Maarten, French Saint Martin and the Netherlands fits into the joint, intensive approach to combat cross-border corruption and fraud, also called “undermining”. Undermining, including corruption and money laundering, poses a serious threat to the security and economy of the countries in the Caribbean part of the Dutch Kingdom. The TBO of the RST, the National Detectives Agencies of Curaçao and Sint Maarten and the Prosecutor’s Office are partners in the fight against “undermining”. PHILIPSBURG–Atlantis Group owner Francesco Corallo (56) and the Group’s Chief Financial Officer (CFO) Rudolf Baetsen (56) were arrested in St. Maarten on Tuesday. The Anti-corruption Taskforce (TBO) of the Kingdom Detectives Cooperation Team arrested Corallo at the request of Italian authorities and Italy will ask for his extradition, the Prosecutor’s Office said in a press release on Tuesday. Corallo will be prosecuted in Italy for amongst other things, tax evasion and bribery of several politicians. The Italy-born Corallo is also suspected in Italy for using his businesses for money-laundering. On Tuesday, authorities also searched several of Corallo’s properties in St. Maarten including his home and an office building. 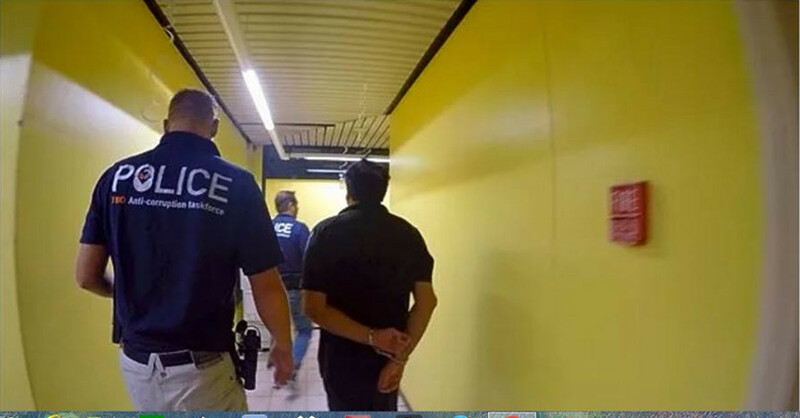 The arrests and searches are part of an international coordinated action in Italy, St. Maarten, the Netherlands and French St. Martin, the Prosecutor’s Office said. Judge. There is where Baetsen, who was born in the Netherlands, was arrested. Searches were also conducted in Italy and suspects have been arrested there. An office building was also searched in Amsterdam. Prosecutor’s Offices of Italy, the Netherlands and St. Maarten. The Anti-corruption Unit of the Attorney General’s Office acted in line with this partnership as it relates to the arrests, searches and seizures. Caribbean part of the Dutch Kingdom, the Prosecutor’s Office said. The TBO of the RST, the National Detectives Agencies of Curaçao and St. Maarten and the Prosecutor’s Office are partners in the fight against undermining. Latest Carnival, Bachannal And Jouvert!